A critical documentary about the war on terror since 9-11. A perspective you won't see, on American T.V. 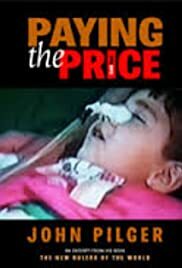 This film is a documentary concerned with sanctions on Iraq. It is completely biased towards the Iraqi side, and I was glad to hear it, for once. An important film for anyone interested in media bias or human rights or politics in general. But be forewarned, it plays on human emotions and attempts to make the viewer feel guilty for their tacit acceptance of the situation. If you're a typical American you'll probably want to skip this, and be comforted by your more Ameri-centric local news channel.